31.10.16 | Permalink | Comments Off on Happy Halloween! That’s the end of our Halloween countdown. I hope we’ve covered all your horror needs and you’re in the right mood to enjoy your Halloween. Have fun, stay safe and remember to check under your bed for monsters! A new book on the illustrious Coco Chanel; j’adore. 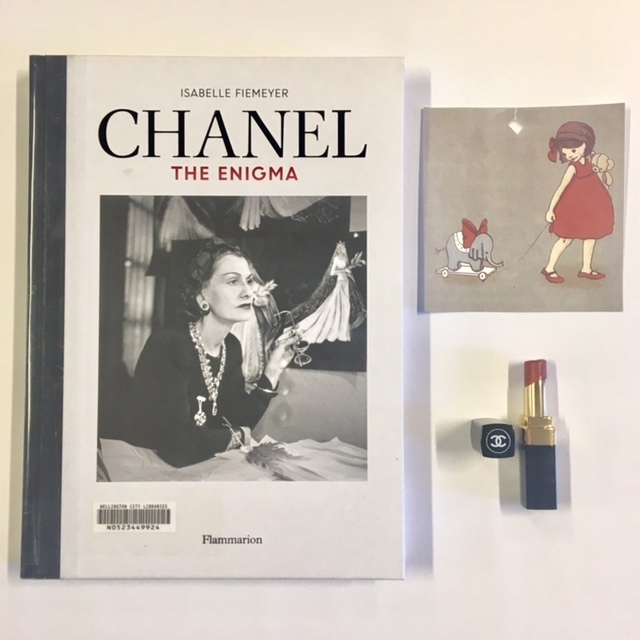 Chanel : the enigma / Isabelle Fiemeyer ; translated from the French by Deke Dusinberre. Halloween countdown: werewolves and zombies and vampires, oh my! 27.10.16 | Permalink | Comments Off on Halloween countdown: werewolves and zombies and vampires, oh my! I know what you’re thinking. Archie, wholesome hero of almost 77 years of comics set in the all-American town of Riverdale, fighting against the Undead? It’s a strange concept, but a concept that works. The art’s not the usually cartoony Archie style, which is also good. I don’t want to give the plot away, but it’s well worth a look. This is a rather wacky take on your bog-standard supernatural romance. Princess Decomposia spends most of her life running the kingdom while her hypochondriac father lies in bed. On her to do list is to hire a new cook. Luckily, Count Spatula appears. He’s a charming chap with a knack for baking impressive meals. It’s hardly the most terrifying story of love between the undead, but Halloween is equally parts “treat” to “trick.”** A nice break from all the chewing on brains. What happens ten years after the zombie apocalypse? Twenty? This book is set in an undefined period of time after the zombies – here called “Unconsecrated” – have apparently taken over the world. It’s a wonderful blend of horror and dystopia and a really great look at how humanity copes with the undead after the initial attack. It’s also an interesting coming of age story about a young woman struggling with the traditions she’s grown up with and the promise of a world outside all that she’s ever known. Tobias Richard Vandevelde begins his lycanthropic journey not howling under the moon on a deserted moor but naked in a dingo pen. After that rather inglorious start thing escalate, and the titular group comes into play. I’ve been a fan of Catherine Jinks for a long time, so I was pretty excited to find out she’d written something in my favourite genre. Fair warning, though: you won’t find handsome men with rippling abs brooding under the full moon in this book. Refreshing, really. **It took me a long time to think of this sentence and I refuse to apologise for it. Friedrich Nietzsche once said something that has formed the basis of many fictional story. “Beware that, when fighting monsters, you yourself do not become a monster…” Whether or not the protagonists in these stories have won that particular battle is up to you. Will Henry, an orphan, becomes an assistant to the titular character, an acerbic man called Dr. Pellinore Warthorpe. Be warned: the monsters in this book are nasty and the author pulls no punches in describing the gore and mayhem they cause. Monsters known as wych-kin have overrun an alternate-history London. Thaniel Fox is one of the best wych-hunters in London, along side his mentor, Cathaline Bennett. But he needs all his wit and skill when he encounters Alaizibel Cray and the horrific conspiracy that surrounds her…This is one of my favourite YA novels ever. This is a book not just about a few characters but an entire city in the grip of a terror caused by human and monster alike. Disease, poverty and violence stalk the streets – the wych-kin are only the beginning of this London’s problems. Unlike the other monster-hunters, Wulliam Fobisher has his sights set on a single monster: the mormorach, a magical but deadly creature that may be able to save his afflicted father. Riverkeep’s one of the most original and interesting novels I’ve read this year, with an enthralling fantasy world populated by all sorts of strange people. This is a rarity in the “monster hunter” genre. Okiku is an unavenged spirit who seeks to avenge the murdered souls of others – the monsters she hunts are very human and very alive. It starts out with a terrifying chapter in which this is described. 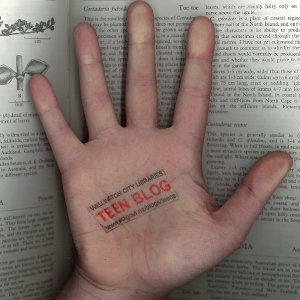 This is the first in a series – make sure you read them all, it’s well worth it. We have a brand new book on military fashion. Please enjoy this visual pun!! (Those gold cylinders are a lipstick and a mascara, not bullets, just fyi.). 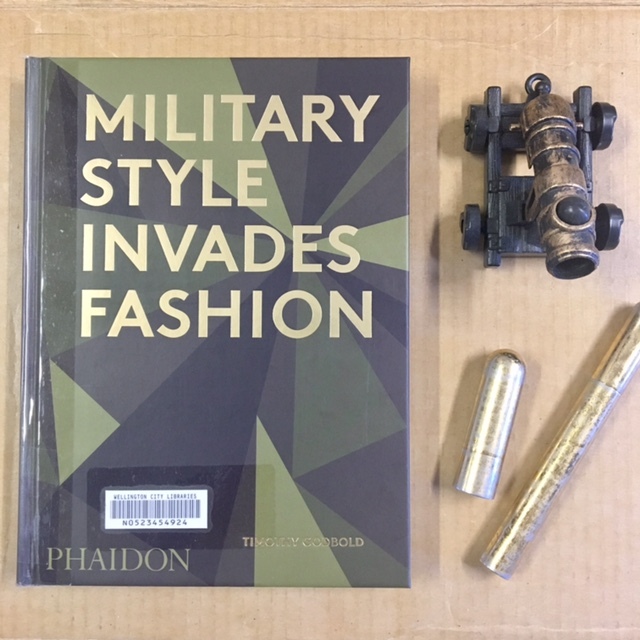 Military style invades fashion / Timothy Godbold ; with an introduction by Colin McDowell. This a graphic novel! A fashion graphic novel. Who even knew such a thing existed. It definitely works though, the pictures are beautiful and the story is très sweet. 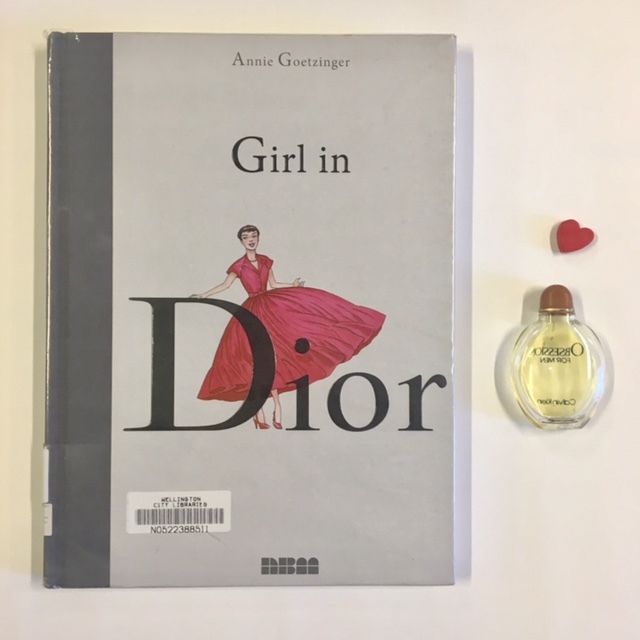 Girl in Dior / Annie Goetzinger ; translation by Joe Johnson ; lettering by Ortho. 01.10.16 | Permalink | Comments Off on Halloween Countdown! I love Halloween – in my opinion it’s the best holiday of the year. So every week in October I’ll be doing a round up of the best scary fiction, movies, crafts and other interesting bits and pieces. If I have time I might have a chat to the other librarians and get their recommendations as well. If you’re like me, you want to get your costume and Halloween prep started early – we’ve got some great books on cosplay and other crafts! Yaya Han is a big name in the cosplay world and she’s edited this great book of photos of amazing cosplayers – great inspiration for taking your halloween costume to the next level. 1000 incredible costume & cosplay ideas displays the best of the best. If you’re not quite at that level yet (like me) then pinterest is a great place to start. There are quite a few awesome Halloween crafting books – it was hard to pick just a few! Here are some of my favourites: Artful Halloween, Creating your vintage Halloween and Glitterville’s handmade Halloween. There’s also the AntiCraft, one of my favourite craft books ever.